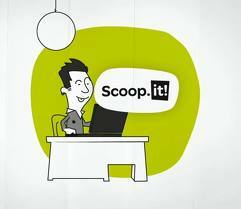 I’ve recently discovered an interesting website called Scoop.it. Now, I know it’s probably old news for most. I’ve seen it in my Twitter timeline occasionally but it’s always been on of those things that you notice but never actually make the effort of checking it out. A few weeks ago, I made that effort and have since been obsessed. 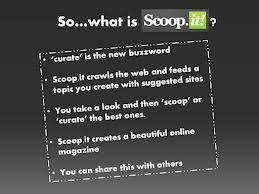 If you’re unfamiliar with it, Scoop.it, it’s a sit that allows you to “scoop” and curate interesting articles you come across during your hours of surfing the ol’ net. You can create Topics under which you sort these little nuggets under and using the Scoop.it! bookmarklet that installs to your web browser, anything you read can instantly be “scooped” to your page. My Twitter followers might have noticed the sudden additions of very sciency stuff to my timeline. This is another useful feature of Scoop.it. You can link your social media accounts (e.g Twitter, Facebook, Tumblr, LinkedIn etc) to your page and with each scoop, choose which (if any) accounts you want the scoop shared with. It’s like Pinterest for nerds. But instead of pinning pictures, you collect and share articles. I currently have two Scoop.it topics running, a science and biotech focused one called Biology & Biotech Baubles and one all about wine called The Wine Glass. That’s my contribution to the collective awareness of fun and epic stuff on the internet for today. This entry was posted in Critique, Intellectuel.